My Gutter Is Leaking. What Is The Problem? When was the last time you thought about your rain gutters? Have you ever even thought about your rain gutters? Rain gutters aren’t exactly exciting. In fact, if we had to make a list of the most unexciting things on the planet, rain gutters would probably be right up there with algebra and plastic slipcovers. When they’re doing their job, that is. If a gutter starts leaking, it will get exciting pretty fast. Only it will be the wrong kind of excitement. The one with flooded basements, water damage and a metric ton of repair bills. If that sounds like your idea of fun, you’re welcome to move on. If not, however, we’re about to make your day. Read on and thank us later. Your rain gutters are really important, especially if you live in an area where it rains a lot. Gutters collect rainwater and carry it away from your property safely. Were it not for them, the water would simply roll down your roof and stand around until there’s enough of it to seep through and flood your basement or crawl space. And flooding isn’t just expensive to siphon out, it can also do all sorts of damage to floors, walls, plumbing, electrical and foundations. Not exactly a pretty picture, right? Unless you plan on turning your basement into an unwitting swimming pool come the rainy season, you should check out your gutters regularly. It’s a good idea to do this in the off seasons, when the gutters are completely dry. Start by clearing out any buildup of leaves and debris, as this could clog the downspout and lead to blockages, which in turn can cause overflow, leaks and water damage. It’s really easy to do. Simply scoop out what you can with a trowel and hose down the gutter to get rid of the finer odds and ends. It’s also a good idea to check for any sagging. Just get on your ladder and sight down the gutter’s length to make sure it’s completely straight. Blockages caused by buildup of debris account for most gutter leaks; and cleaning should sort out the issue. That said, sometimes you’ll have to dig deeper to find the cause of a leak. 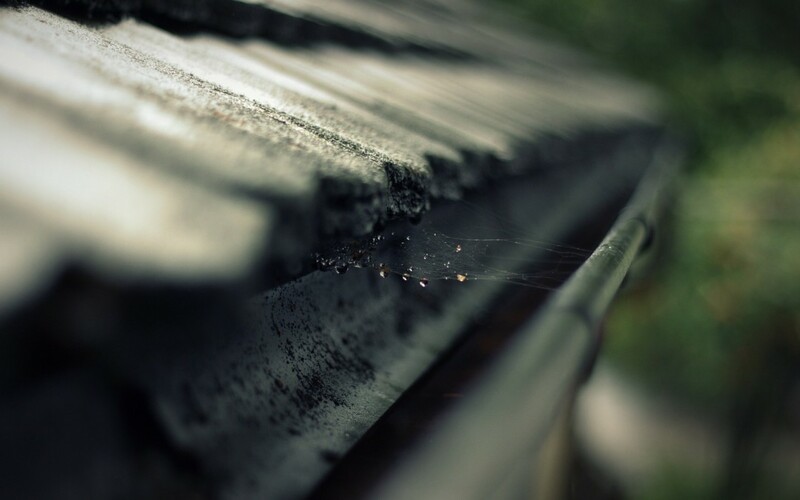 Cast iron gutters are prone to rust, which can eat into your gutter. Alternatively, a particularly gnarly twig might have poked the hole which is causing the leak. When this happens, it’s a good idea to patch the hole up pronto before it grows and makes matters worse. Start by cleaning out the area thoroughly. If there’s rust, you should also cut this out completely. Once that’s done, apply a repair patch several inches larger than the hole, and seal it up with roofing cement. Wait for it to dry, and you’re good to go. It’s as easy as 1 2 3. But what if you’re not exactly Mr Fixit? Or you simply can’t be asked to do it yourself? Easy. Just call in the professionals. You can still have a beer while they work.